Fanatec’s been on a roll with the news lately! In the past 48 hours, we got news of the upcoming Direct Drive wheel slated for release this year, as well as a $100 price drop on the Clubsport Wheel V2. Now, we have a new set of pedals from Fanatec, the Clubsport Pedals V3 Inverted (or the CSP V3i). The Fanatec Clubsport Pedals V3 Inverted takes the popular pedal set, and flips them. Well, flips 2 out of the three pedals, anyway. To recreate the pedal layout seen in a lot of GT cars, the pedals feature the brake and clutch pedal inverted, and the gas remains as-is. This is a set-up like a lot of cars use, including mine (see image below). Fanatec has also included the Brake Damper Kit already pre-installed on the brake (normally $69) to simulate the feel of a hydraulic brake. The Damper kit allows for adjustment of the feeling, along with the pre-load spring, to give an authentic brake feel. The Brake Performance kit is NOT included with the CSP V3i, and is sold separately. Apart from the addition of the Brake Damper Kit, the Clubsport Pedals V3 Inverted include the same components as the standard CSP V3. The D Shaped pedal faces (which I really like) are included as well. Functionally, some minor adjustments have been made to the pedals. The distance between the brake and clutch is now larger. Pedal extensions are also pre-installed, to give a better ergonomic position for your feet. 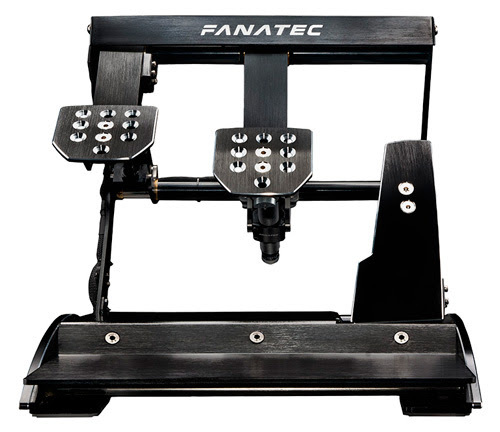 The Fanatec Clubsport Pedals V3 Inverted will be available for $499 USD, or €599. The pedals are NOT able to be converted to stock CSP V3, and standard CSP V3 will NOT be able to be converted to CSP V3i. If you want more information, I have the press release down below (Thanks to Forum member 5ragnar5 for prettying it up!). What are your thoughts on the newly released pedal set? Let us know! Fanatec was proud to announce their new ClubSport Pedals V3 Inverted today, expanding their high-end ClubSport Series product range. Realism to the max – that’s the ideology of the ClubSport Pedals V3 Inverted. The pivot points, pedal arrangement, distances and overall feeling is just like in a real car! 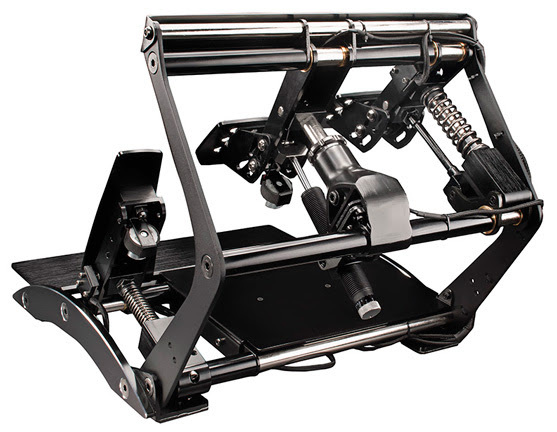 Clutch and brake pivot points are inverted to the upper side of the pedals, attached to a sturdy frame like other products in the Fanatec ClubSport Series. The pedal set comes in a solid full-metal anodized aluminium design, delivering the same technology and performance as the ClubSport Pedals V3 that inspired them. 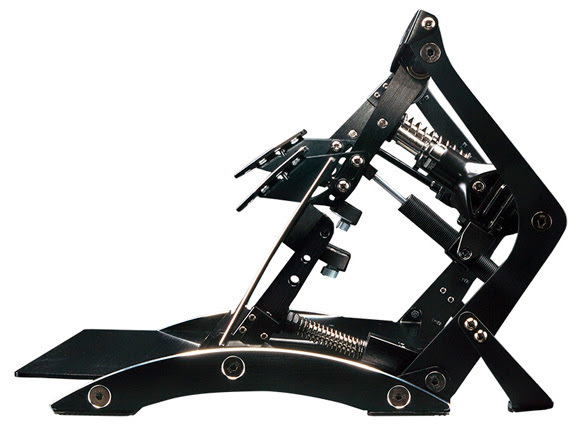 The distance between the pedals is bigger than on the regular ClubSport Pedals V3 and the clutch mechanism and ergonomics have changed as well in order to simulate a high-performance sports car. The ClubSport Pedals V3 Inverted come with a pre-installed version of the ClubSport Pedals V3 Damper Kit on the brake, which adds the familiar feeling of the mechanical resistance and dampening of a hydraulic brake. Damper Resistance is easily changed by the turn of a knob, no tools or oil changes required. Additionally, an optional damper kit can be installed on the throttle pedal.